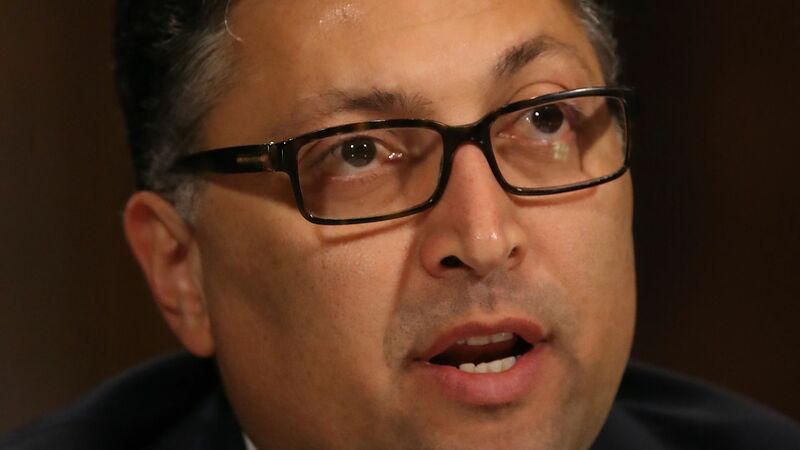 Makan Delrahim, Assistant Attorney Genery in the Antitrust Division of the Department of Justice. Photo: Mark Wilson/Getty Images. Hours before a federal judge will announce his verdict in the AT&T vs Justice Department case determining the fate of AT&T's $85 billion merger with Time Warner, the Trump administration's top antitrust enforcer doubled down on the DOJ's interpretation of antitrust laws in blocking the deal. The big picture: This is the most significant antitrust case in years. Even if DOJ ultimately loses the case, as many analysts expect it will, it has put a stake in the ground on how it views its enforcement powers. Makan Delrahim, who leads the Justice Department's antitrust division, defended the DOJ's stance on the AT&T-Time Warner deal, which he noted was put together by career antitrust attorneys. The deal "would have unlawfully raised prices for cable TV subscribers and harmed online innovation," he said. He made the case in a speech Tuesday morning that the long-held "consumer welfare standard" that is at the core of antitrust reviews remains the best way to evaluate threats to competition, and that broadening that standard to include the impact on democracy and free speech carries significant risks. Some have argued that the DOJ should use is sizable powers to do what's best for democracy, in addition to focusing narrowly on consumer harm. Delrahim said doing so would "carry too great a risk of undermining constitutional values." Prosecutors, he said "carry with them their own perceptions of what is good and bad for democracy." The consumer welfare standard, he said, "protects us from the dangers to liberty from well-meaning enforcers," quoting former Supreme Court Justice Louis Brandeis. Political positions should have no role in determining antitrust actions, he said, and added that "there could be real risks to core democratic standards in pursuit of broader societal goals."